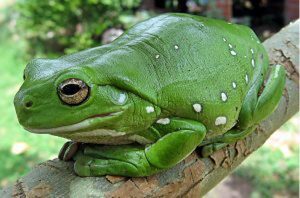 While completing her master’s degree in biology in York University’s Faculty of Science, Julia Gauberg spent three months in Australia trying to figure out how a particular fungus is causing the death of so many Australian green tree frogs and other amphibians around the world. The fungal pathogen Batrachochytrium dendrobatidis (Bd) is causing the disease chytridiomycosis in amphibians worldwide, but scientists still do not know exactly how it works. Gauberg thought tight junction (TJ) proteins might play a role. Gauberg is first author on the research paper “A lethal fungal pathogen directly alters tight junction proteins in the skin of a susceptible amphibian,” recently published in the Journal of Experimental Biology. The research for the paper was completed in 2017 while Gauberg was at York U. After receiving her degree at June convocation in 2018, she began her PhD at the University of Toronto. Prior to Gauberg’s study, it was known that Bd disrupted one of the essential functions of amphibian skin – maintaining salt and water balance – often leading to death of the animal. But no one had ever looked at the effect of Bd on TJ proteins. TJ proteins are important for regulating how “leaky” or “tight” epithelial tissue, like the skin, should be. The skin is usually a very tight tissue and TJ proteins in the skin act as barriers to unwanted solute movement. Gauberg found that with Bd infection, the skin became very leaky and certain TJ proteins were impaired by the fungal pathogen. However, the problem is not as one-dimensional as Gauberg first thought. The fungus affects each TJ protein differently, and the reason for that is still unknown. What she does know for sure is that TJs, and the overall permeability of the skin, are affected by the Bd fungus. “The more fungal pathogen on the skin, the more the skin is weakened,” she said. The problem is this fungus is spreading quickly from one amphibian to the next and from one locale to another, and researchers are still trying to find out how and why. Some frogs, such as the African clawed frog, which is often sold in pet stores, are immune. North American frogs are also affected. Gauberg hopes her paper will help other researchers figure out how to prevent this fungus from doing further damage. 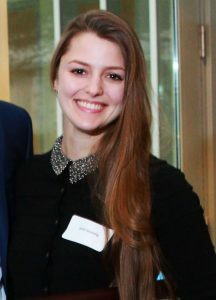 She also wants other graduate students to know that she took a leap of courage in talking to University of Queensland Professor Craig Franklin at a conference and telling him her idea, which led to an invitation to work on her research with him in Australia. Gauberg was responsible for getting her own funding together and applying for grants. Funding was provided by the Natural Sciences & Engineering Research Council of Canada’s Michael Smith Foreign Study Supplement, the Canadian Society of Zoologists and the Company of Biologists travel grant through the Society for Experimental Biology, as well as York University.